Dr’s Ulmer, Sleep and Wu manage a dermatology practice in Long Beach that embodies the experience of excellence in all aspects of skin treatment. Dr. Ulmer has established a tradition of providing the highest standard care, while incorporating the newest technology and latest dermatologic research into his protocols. His philosophy is simple: treat people with skin disease effectively and completely. Long-standing loyalty to his patients and staff has created a warm and comfortable office environment. 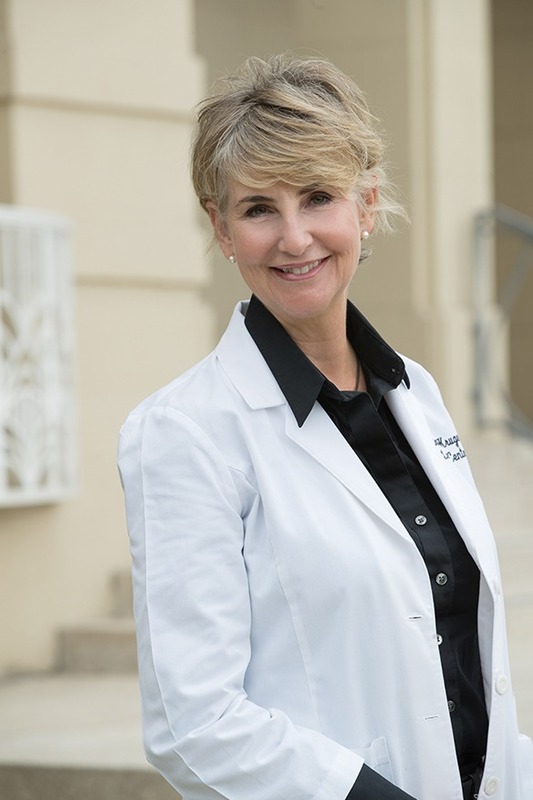 Dr. Susan Sleep has provided cosmetic dermatology services as well as medical dermatology in the Long Beach area for many years. Board certified in both Internal and Aesthetic Medicine, Dr. Sleep combines her experience and expertise in excellent patient care with the goal of providing individualized and uniquely qualified skin care management. 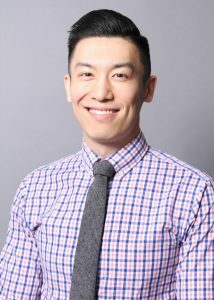 Dr. James Wu provides a wide spectrum of medical, surgical, and cosmetic dermatologic care. He is a graduate of Einstein College of Medicine/Montefiore Medical Center in New York where he served as Chief Dermatology Resident. He brings with him extensive training in general, surgical, and cosmetic dermatology, in addition to excellent experience with skin cancer prevention and treatment, acne, eczema, seborrheic dermatitis, psoriasis, rosacea, vitiligo, alopecia, and warts. Our focus is to treat people with skin disease effectively and completely. We strive to ensure that patients feel cared for from the moment they call for an appointment with a dermatologist, until their skin problem is resolved. Ulmer Dermatology has established a tradition of providing the highest standard of care while incorporating the newest technology and latest dermatologic research for the past 40 years. Our entire staff is committed to providing professional, knowledgeable and comprehensive service to each person who comes into our office. Whether you visit our office for the medical care of skin cancer, psoriasis, acne, or cosmetic dermatology, we will make every effort to serve you as we have in the last four decades – with the most comprehensive care available. Dr. Ulmer was born on March 13, 1945 in Fort Myers, Florida and spent most of his youth in Akron and Toledo, Ohio. 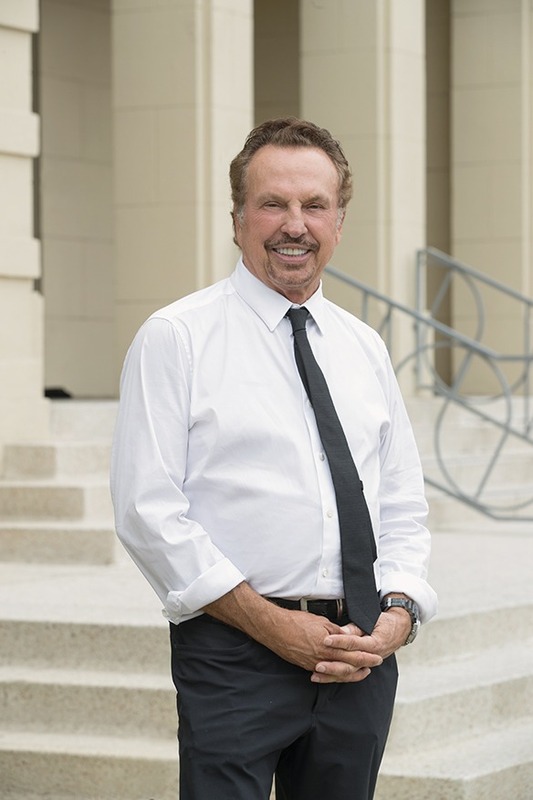 During his senior year of high school, Dr. Ulmer and his family moved to California, where he attended Pasadena Polytechnic School. Dr. Ulmer attended DePauw University in Indiana, where he was a double major in chemistry and pre-med. He graduated in 1967 and was elected to the honor society Phi Beta Kappa. After completing his undergraduate studies, Dr. Ulmer moved west once again, to pursue his medical degree at UCLA School of Medicine. He graduated with honors in 1971 and was elected to the Alpha Omega Alpha Honor Medical Society. Dr. Ulmer conducted his internship at UCLA Harbor General Hospital from 1971-1972 and completed his three-year residency program. He was the Chief Resident in the Dermatology Department in 1975. Dr. Ulmer was board-certified by The American Academy of Dermatology in 1976. Following additional training and coursework, Dr. Ulmer became Board Certified in Dermatopathology by the American Board of Pathology in 1981. In addition, Dr. Ulmer has received certification by the American Society for Dermatologic Surgery, the American Academy of Cosmetic Surgery, and Board Certified for Dermatological Radiation Therapy. Dr. Ulmer has been practicing dermatology in Long Beach since 1975. His vast knowledge, coupled with his no-nonsense approach and excellent service, has made him one of the leading dermatologists in Southern California. 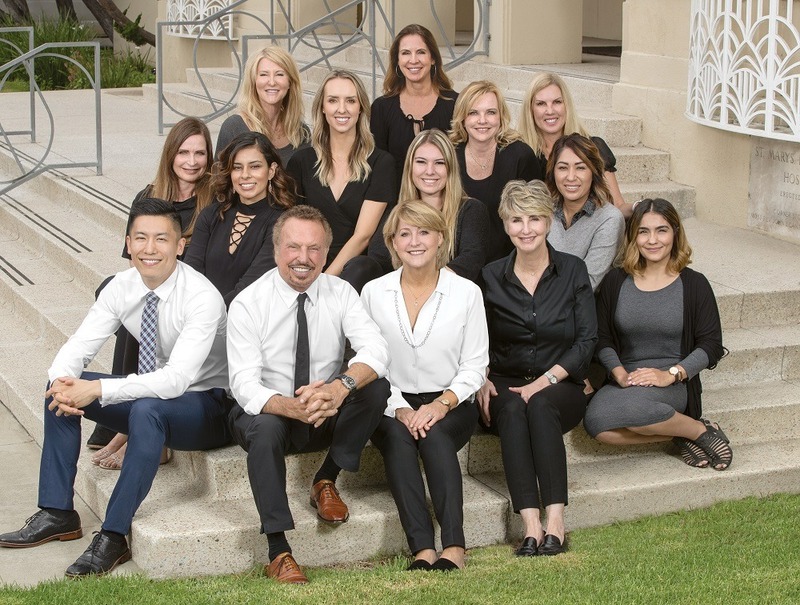 Over the last four and a half decades, Dr. Ulmer has established a tradition of providing the highest standard in his cosmetic and general dermatology practice. The popularity of cosmetic and laser treatments have surged in recent years causing dermatology to constantly evolve and accommodate the newest research and technology. Dr. Ulmer keeps abreast of the latest changes in the field by continuing his education and regularly attending conferences given by the American Academy of Cosmetic Surgery. He strives to add cutting-edge, new procedures to his arsenal of treatments and therapies. With the opening of the Ulmer Dermatology Cosmetic & Laser Surgery Center in 2005, Dr. Ulmer has been able to serve the latest demands of his field. In 2017, Ulmer Dermatology introduced radiotherapy to treat basal cell carcinomas, squamous cell carcinoma, and keloids without surgery. Radiotherapy employs low voltage soft photons to eradicate cancerous cells without damaging normal adjacent cells thus removing skin cancers without surgery and scarring. There are no systemic side effects and this latest advance in the treatment of skin cancer has wide applicability for patients who desire no scarring – particularly on the face. Superficial Radiation Therapy (SRT) is also beneficial in treating older patients that wish to avoid surgery. Marie is a lifelong resident of San Pedro. She graduated from San Pedro High School and attended Harbor Community College for two years, before joining Dr. Ulmer’s staff in 1983, more than 30 years ago! Marie spent one year working in the front office, before moving to her longtime current position in the “back office”. She assists with general dermatologic procedures and cosmetic procedures such as dermabrasion, eyelid surgery, and scar repair. 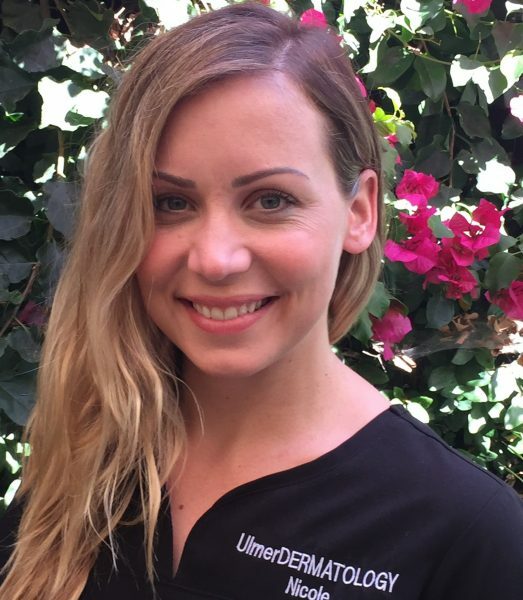 Marie was so intrigued by the dermatological knowledge she acquired working with Dr. Ulmer, that she was inspired to continue her education. In 2005, she attended cosmetology school in Torrance, and, upon graduation, began offering her services to patients of the office. Dr. Ulmer has found the skin care Marie provides to be extremely beneficial to our patients, especially those working around school and work schedules. With a focus on skin rejuvenation, Marie uses acne extractions, chemical peels, microdermabrasion and various masks in her arsenal of treatments, designed to treat those patients with everything from acne to hyperpigmentation. Marie lives in San Pedro, and has two children. 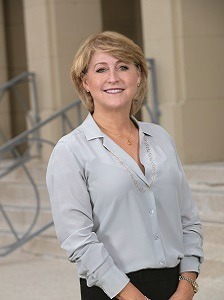 Dawn received her A.S. degree from Cypress College in 1980. She then went on to earn her RDA and CDA, and worked for six years in dentistry with Dr. William Ralston of Fullerton. Dawn has worked at Ulmer Dermatology for over 30 years. She worked for 20 years as a medical and surgical assistant to Dr. Ulmer, before moving to the Laser Center, where she currently serves as director. Dawn is the primary office contact for Mohs Micrographic Surgery, supporting patients throughout the entire process. She educates the patient about the procedure during the initial consultation, arranges the surgery date and pre-operative care, assists with the surgery, and maintains contact with each patient throughout his or her postoperative care. 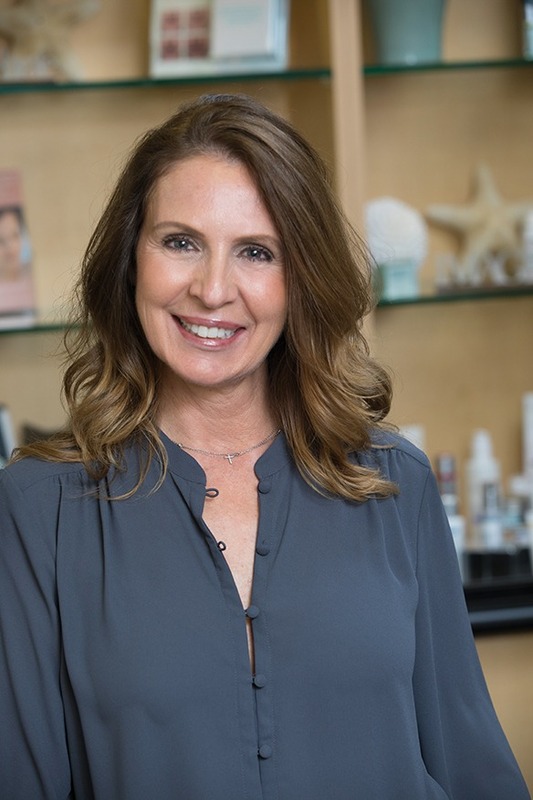 Dawn also serves as a Laser and Cosmetic consultant, where she informs patients about Photodynamic Therapy (PDT), Photofacials (IPL), Botox, Fillers, Fractionated CO2 Resurfacing, Dermabrasion, eyelid surgery, and (SRT) Superficial Radiotherapy. Dawn lives in Long Beach with her husband Jim, and is actively involved in the community. Bridget received her R.N. from the Long Beach City College School of Nursing in 1985. Throughout her 28-year career as a nurse, she has worked at Long Beach Memorial in Labor & Delivery, where she continues to work today. Bridget joined the Ulmer Dermatology staff in February 2006 and brought with her 21 years of nursing experience. She lives in Cypress with her husband Ted, and has three sons. As an internist with a medical and cosmetic dermatology emphasis, Dr. Sleep has been serving the greater Long Beach area since 1991. Being born and raised in Long Beach, Dr. Sleep’s ties to the community run deep. Dr. Sleep graduated from Millikan High School in 1979 and her daughter Savanna Sleep from Wilson High School in 2011 and USC in 2015. Dr. Sleep went on to graduate Phi Beta Kappa with a BS in Psychobiology, an honors degree, from University of Southern California. She was then granted an early decision admission to the Keck School of Medicine at USC and graduated in 1988 with honors in medicine and dermatology. Dr Sleep followed with an internship and completed her residency training program at St Mary Medical Center/Harbor-UCLA. 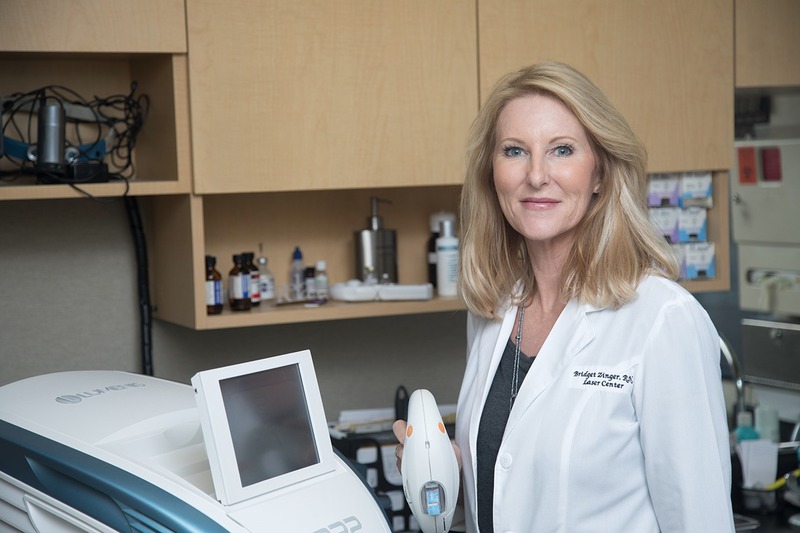 Dr Susan Sleep has provided cosmetic dermatology services as well as medical dermatology for many years, and recently increased her services and offerings to include non-melanoma skin cancer training in Superficial Radio-Therapy. As a Cancer Support Community Physician and Board Member, Dr. Sleep is uniquely qualified in this area of expertise. Dr Sleep is pleased to be part of the Ulmer team. Dr. Sleep is Board Certified in Internal Medicine and Certified by the American Academy of Aesthetic Medicine. This allows Dr. Sleep the unique capability of being able to combine her experience and expertise in excellent patient care while providing individualized and uniquely qualified skin care treatment and management. A dermatologist and cosmetic surgeon offering a wide spectrum of medical and cosmetic dermatologic care. He is a graduate of Einstein College of Medicine/Montefiore Medical Center in New York where he served as Chief Dermatology Resident. He brings with him extensive training in general, surgical, and cosmetic dermatology, in addition to excellent experience with acne, eczema, seborrheic dermatitis, psoriasis, rosacea, vitiligo, alopecia, warts, skin cancer prevention and treatment. Prior to his training in dermatology, he completed his preliminary medicine year at UCLA – Olive View, and his Medical Doctorate at Chicago Medical School where he was inducted into the Alpha Omega Alpha honor society. He has won many awards and scholarships throughout his training and has written both magazine and scientific articles in addition to presenting at the annual American Academy of Dermatology meeting. He is currently on staff at St. Mary’s hospital where he lectures and teaches dermatology to the residents. Nicole started her training with World Microblading under Microblading Artist Irena Chen. Nicole then went to train at the Microblading LA Academy under world renowned Microblading artist, Lindsey Ta. She has also taken an additional courses on color theory. Rachel received her A.S. degree in Applied Sciences from Monroe County College in 2014. She then went on to earn her B.S. degree in Radiation Therapy Technology from the College of Pharmacy and Health Sciences at Wayne State University in Detroit, Michigan. Rachel is certified with the American Society of Radiologic Technologists and the California Society of Radiologic Technologists as well as the American Registry of Radiologic Technologists. 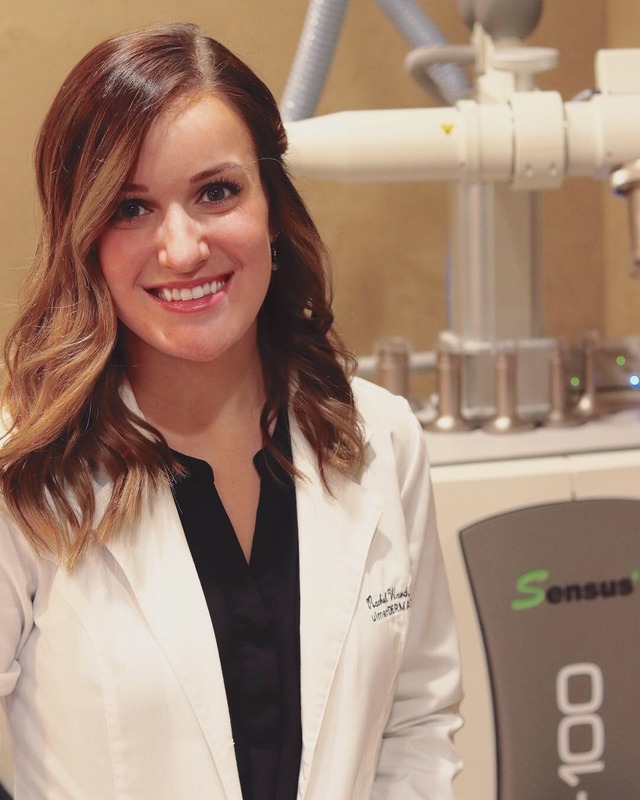 Rachel joined Ulmer Dermatology in 2018 and is the Radiation Therapist for the Superficial Radiotherapy Treatments (SRT). She uses the SRT-100™ to administer a precise, calibrated dose of Superficial Radiation that only goes skin deep. She painlessly delivers low-doses of radiation safely destroys non-melanoma skin cancer cells as an alternative to surgery.